This decision from Microsoft comes as they plan to focus solely on Office 2016. Whilst critical security updates for 2013 will continue to 10th April 2018, Microsoft advise that businesses should look to make the change to Office 2016 to avoid any future incompatibilities. So what are your options to move to Office 2016? Office 2016 is sold as a one-time purchase, which means that you pay for the cost of a licence upfront to get access to the Office applications for one computer. This licence is then yours to own and it does not have an expiry date. Office Home and Business 2016 is the best one-time purchase option for businesses. This will provide businesses with fully installed versions of Microsoft Outlook, Word, Excel, PowerPoint and OneNote. There is also a Professional version, which provides users with access to all of the applications within Home and Business with the addition of Microsoft Access and Publisher. It is worth noting that the applications are not automatically updated; to get the latest version, you will need to purchase the product again when it becomes available. Office 365 is a subscription-based service/plan that includes access to Office applications and other services that are enabled over the internet, which is paid either monthly or annually. Microsoft eventually want to phase out one-time purchase options and transition entirely to subscriptions. With Office 365 you automatically get new features as they are released and the next version of Office when it comes out. You also get additional cloud storage and other benefits, which are not included within Office 2016 one-time purchase. 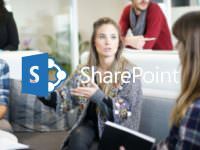 There are two Office 365 subscriptions available for businesses with up to 300 users. Office 365 Business and Office 365 Business Premium both include Office 2016 – the Windows or Mac versions of Word, Excel, PowerPoint, OneNote, Outlook, and Publisher, and each person (individual user) can put them on up to five PCs or Macs – the Office apps on five phones and tablets per user, and 1TB of OneDrive for Business storage. The difference is that the Business Premium subscription also has Exchange (hosted email), SharePoint and Skype for Business Online. For larger businesses there are Enterprise offerings from Microsoft that include more security and information management tools, namely, E3 and E5. Microsoft also offer Office 365 for business which offers Exchange only. This subscription is ideal for businesses that already have Office licences or are happy to use Office online web applications instead. These are called Office 365 Business Essentials which is for businesses with up to 300 users and E1 for larger companies. Its also worth noting that there are two products available for home users as well, namely Office 365 Home and Office 365 Personal. Microsoft also offer Office 2016 via volume licensing agreements, these agreements particularly apply to businesses looking to buy a larger amount of licences at once but do not want to pay on a monthly or annual basis. There is a minimum purchase of 5 licences, although some schemes may require a higher level of commitment. Volume licences also apply to businesses that are looking to use Office via a terminal server. If your business has members of staff that work from home and access company data via a Terminal Server and they require Microsoft Office then you will need to purchase Office on a volume licensing agreement. This is due to the fact that it entitles you to install Office locally on the machine as well as use it on a terminal server.